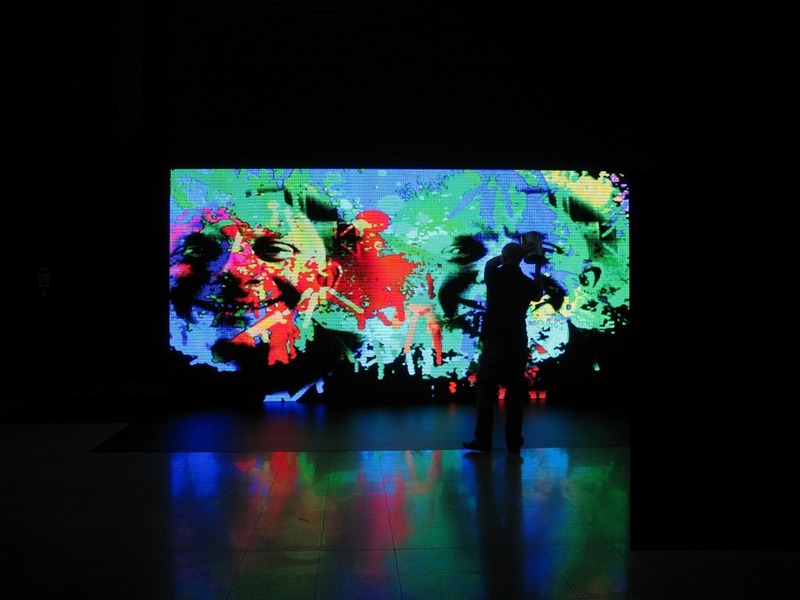 Working in conjunction with Nokia to create the Paint Wall – 6 meter long 2.5 meter high interactive artwork created to mark the launch of Nokia’s latest device. 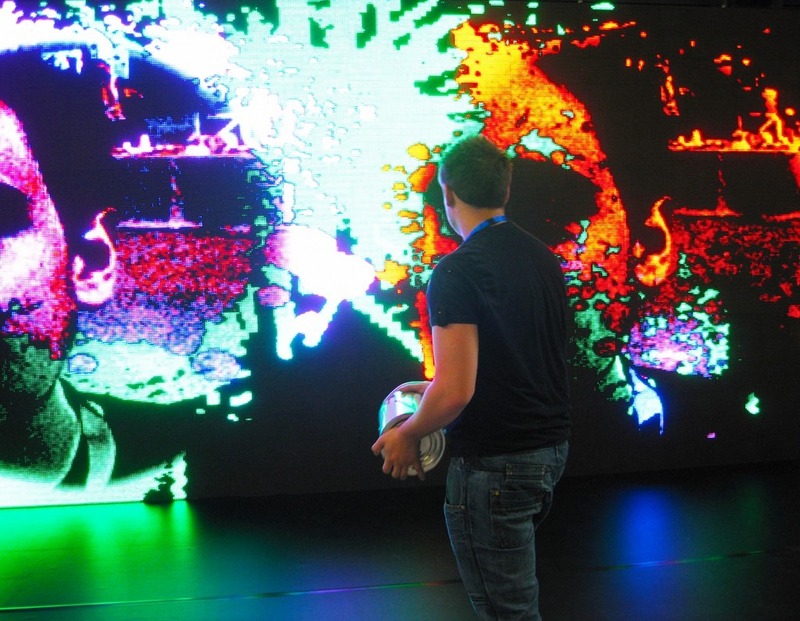 The Paint Wall allows users to throw their own digital content onto the wall. At the Filling Station users can pick up a paint bucket and fill it with a photo of themselves to splash onto the wall of LED lights. Using the Nokia Paint Wall app users can manipulate the painting by blowing, flickering, or swiping on the screen. As the paint drips and moves the faces of previous players are also revealed. 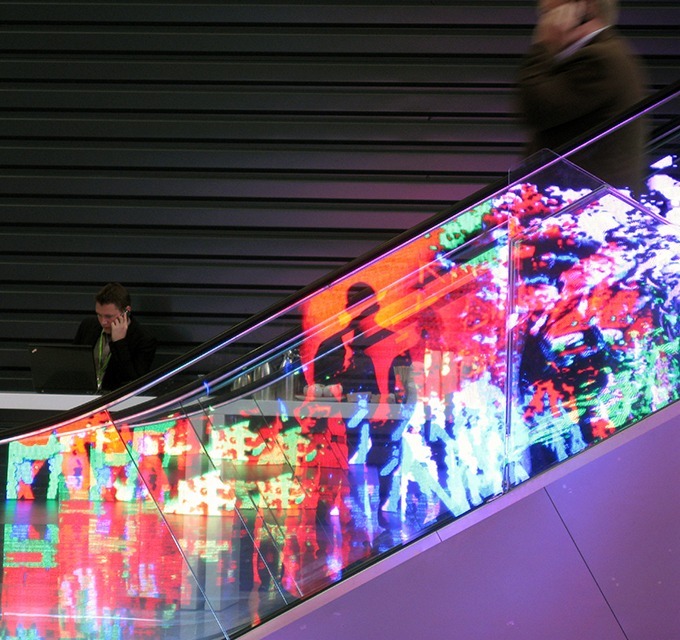 The highly successful and enjoyable installation was first shown at Nokia World, London and was also featured in Nokia’s TV commercial.